Madrid, November 17, 2017. – Professor Franz Heukamp, dean of IESE Business School, announced today that in 2018, work will begin on a state-of-the-art new campus building in Madrid. “IESE aspires to have one of the most influential training centers in the world. The enlargement of our campus will help us support and stimulate the growth of the business community in Madrid,” he stressed to the more than 3,000 Alumni who are celebrating the school’s Global Alumni Reunion today in the city. In total, 24 million euros (including furniture, facilities and taxes) will be invested in the project, which will cover 16,300 square meters and include a parking lot with more than 300 spaces. 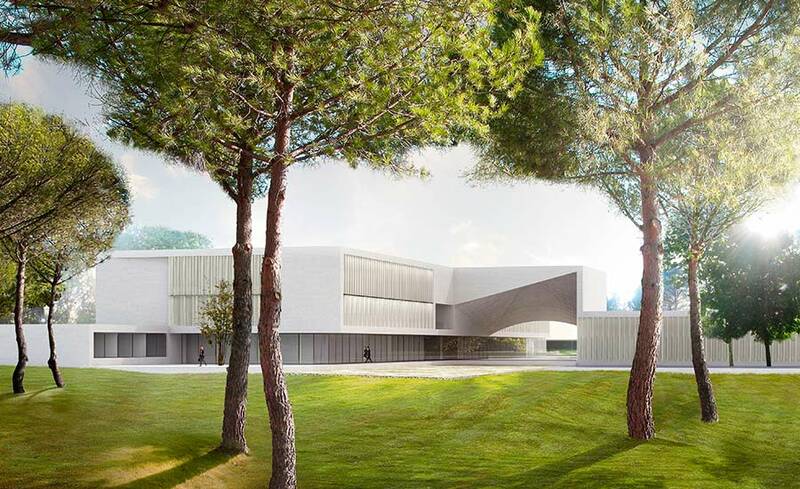 The new building will double the current space of IESE in Madrid and will triple the land available, which will also allow for future extensions if necessary. The expansion of the Madrid campus is designed to help the school better serve the approximately 15,000 IESE alumni that reside in Madrid, while also continuing to enhance the school’s cutting edge research and teaching offering to the national and international business community. New international programs for managers and companies will be delivered from the campus, and there will also be a special emphasis on deepening IESE’s research and entrepreneurial activity in the city. The new campus building will contain four new classrooms, a multi-purpose high-tech classroom and an auditorium with capacity for more than 500 people. The current building in Madrid will continue with its usual activity. The fundraising campaign for financing the project has already started. IESE has the support of its entire network of former students as well as that of its partner companies, who are collaborating to provide 70% of the funding. The remaining 30% will come from IESE’s regular budget. The project is part of an overall expansion plan for IESE, which began in 2015 with the opening of a new campus in Munich, continued with the expansion of the school’s South campus last year in Barcelona, and which will culminate with this project for the IESE campus in Madrid. The new construction in Madrid has been commissioned to the architectural firm S-M.A.O, who are committed to reaching the highest environmental standards and ecological policies with the building – including achieving LEED Gold certification, one of the most popular green building certification programs worldwide. IESE first started teaching programs in Madrid in 1974, at the request of the IESE Alumni who lived in the area. The current campus was inaugurated on September 25, 1991 by King Juan Carlos, along with the then Minister of Industry, Claudio Aranzadi; the Rector of the University of Navarra, Alejandro Llano; the dean of IESE, Carlos Cavallé and professor Rafael Termes, who was the first director of the campus. In the 43 years IESE has been in Madrid, more than 15,000 managers and professionals have been trained from their classrooms. Currently, IESE offers from its Madrid campus the management programs PDD, PDG and PADE, focused programs, custom programs for companies, and the Executive MBA (EMBA).